Human rights activists hand out free ice cream at NYU event where Iranian RM Javad Zarif speaking, to 'celebrate' over 1,000 executions. An American human rights activist came up with a creative way to protest Iran's human rights abuses against political prisoners: free ice cream. David Keyes, executive director of Advancing Human Rights, led the ironic protest outside New York University last Wednesday, where Iranian Foreign Minister Javad Zarif was giving a speech. Keyes and several other activists handed out the free ice cream to "celebrate" the Iranian regime's latest human rights milestone: executing more than 1,000 prisoners in the past year and a half. 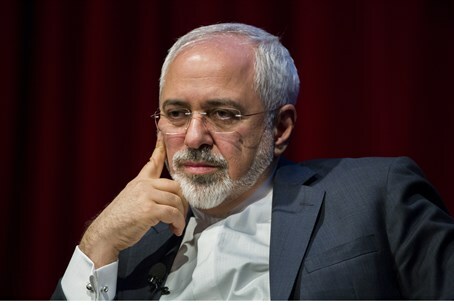 "Mr. Zarif and his deputy foreign ministers didn't seem too hungry," the group said in a tongue-in-cheek statement accompanying a video of the protest uploaded to Youtube. Advancing Human Rights are also asking for suggestions as to which dictators the group should "punk" next. Post your suggestions in the comment section below.